Spencer Dock in Dublin’s financial district is a modern development of exclusive apartments designed by the well-known architects, Scott Tallon Walker. The OMC Group provided the metalwork solutions for the apartments which were sold off the plans. 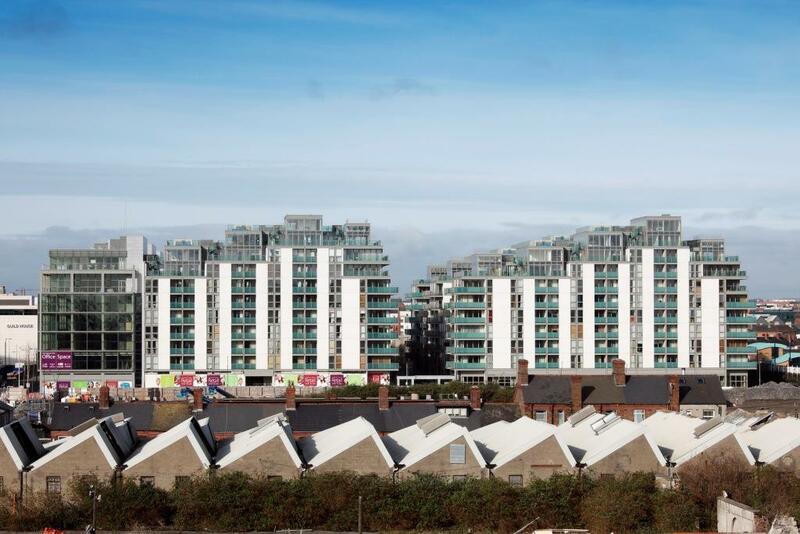 Project Manager with OMC, Martin O’Boyle, oversaw the fabrication and erection of the steelwork for the balconies of the apartments and penthouse suites, along with the steel used to decorate the award winning gardens. There were two different types of balconies built for the development – glass balconies and grated balconies. Both used hot dip galvanized steel coated with Galvacoat®. The gardens and courtyards, which won a modern living design award, were decorated with steel gates, staircases and railings. All of the steel used throughout the plush development was hot dipped first and finished with a coating of Galvacoat®.